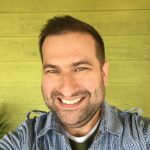 Ryan has 21 years of experience in the technology business, spanning roles in software development, open source community management, emerging technology evangelism, product release management, front-end design, and marketing. He is an social media expert on influence, branding, communities and events. Ryan is a connector, technophile and life-long gadget nerd. You can find him on social as @theRAB talking about the intersection of things, people and data.